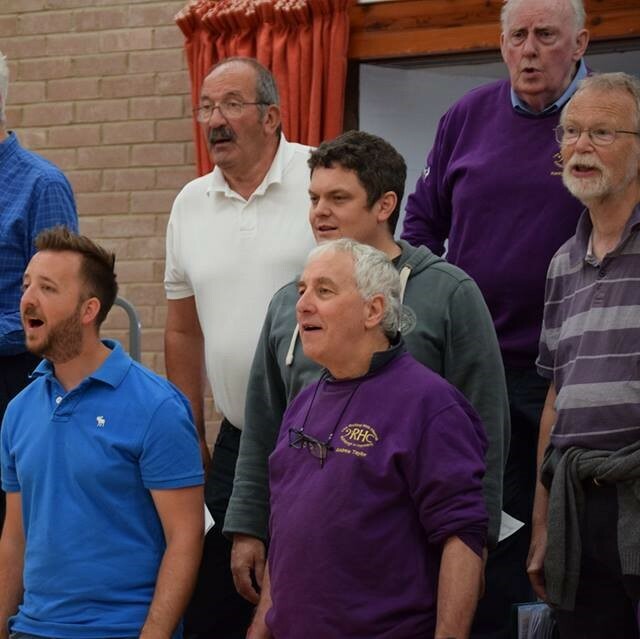 There is nothing quite like singing a cappella in four part harmony with a tightknit group of men of all ages and abilities. This is a rare environment where you have the opportunity to learn a new art form and experience the joy, camaraderie, and the buzz you feel when it all clicks into place. You may not be able to read music but don’t let that put you off. We provide you with learning tracks. The aim is to sing the song as if you’ve known it all your life, that way you won’t need the sheet music. You will have a lot of fun, to perform and to inspire, not only our audiences but each other as well, gaining skills, friendships and memories. "Flyers shoved at random strangers. Festival time in Edinburgh and the Rolling Hills is joining the fun! Our show covers 1000 years of harmony. We have spent six months perfecting our songs. And it was great. We can enchant an audience with a Renaissance part song and our take on the 1990's boyband phenonomenon. Huge fun and we're already looking forward to our next show!" "We are shown how to relax our bodies and allow our voices to ring. How about singing through a straw into a glass of water to improve the clarity of our voices? Another coach spends time on the interpretation of the songs. Being taught by the top Barbershop coaches from North America and the UK enables us to take our performance to the next level."